France recalling their ambassador to Italy! Italians have stopped drinking the Kool Aid. So that’ll be more for you, Cuch! I didn't know that. You are well up on French affairs. 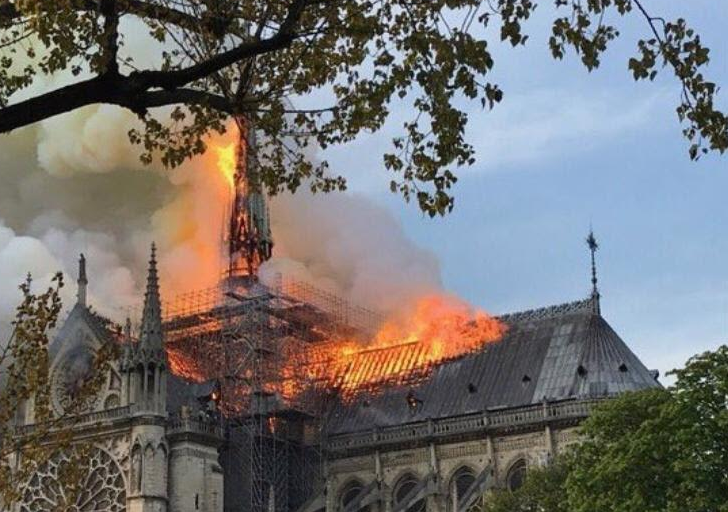 Survived Huguenots, Napoleon, but not the restoration :'-( For me, Notre Dame Cathedral was the only good thing about France and French. I slept under it once many years ago. I finished reading “The Hunchback of Notre Dame” only last night. So it was already in my thoughts. The Europe as it used to be is burning. You loved it or you hated it, it won't be the same any more. Was he playing lyre while saying that? Having a bad day, Gamal?